Savvy Spending: Verizon Wireless Stores: Free Backpack with school supplies for kids on 7/23! Verizon Wireless Stores: Free Backpack with school supplies for kids on 7/23! Sweet! This offer is back again this year! 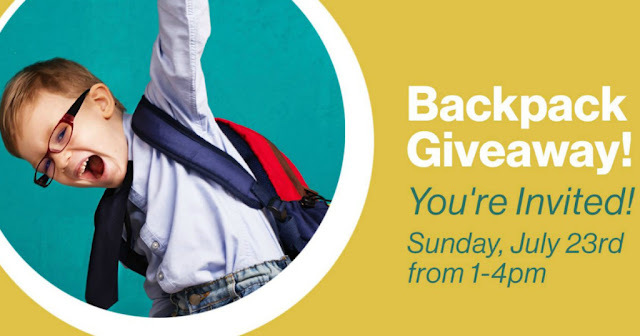 On Sunday, July 23rd from 1 until 4 pm, visit your local Verizon Wireless Zone Stores with your kids so they can pick up a FREE backpack filled with school supplies! Your child must be present; limit one per child. Call your local store first to verify participation in this program. Thanks for sharing the awesome giveaway info.